Burnham Nationwide expedites building permits throughout the Chicago metropolitan area, and we enjoy using our knowledge and experience to help residents in need. Earlier this year, an elderly, legally blind woman from Palos Park, IL struggling with the building permit process reached out to Burnham. She had moved out of her home during a remodel to increase accessibility, and the permit problems she encountered significantly delayed return to her home. We volunteered to help with finalizing her permits, including tracking her permit status and providing guidelines to submit documents and register as a contractor. In Illinois, the state constitution grants local governments the ability to self-govern, known as home rule, unless the Illinois General Assembly expressly limits local governments’ power in specific areas. A municipality automatically has home rule authority if its population is 25,000 or greater. Municipalities with populations of less than 25,000 can vote to become a home rule unit. Illinois home rule municipalities are responsible for building codes and permitting. Thus, municipalities may have different requirements from each other. The elderly client we were helping lives in an unincorporated area of Palos Park, IL and not a home rule unit. Therefore, it is necessary to follow Cook County’s building code and permit requirements, the county where Palos Park is located. The Cook County permitting requirements are very different from most of the municipalities in the greater Chicago area, making it confusing for Illinois residents and building contractors. 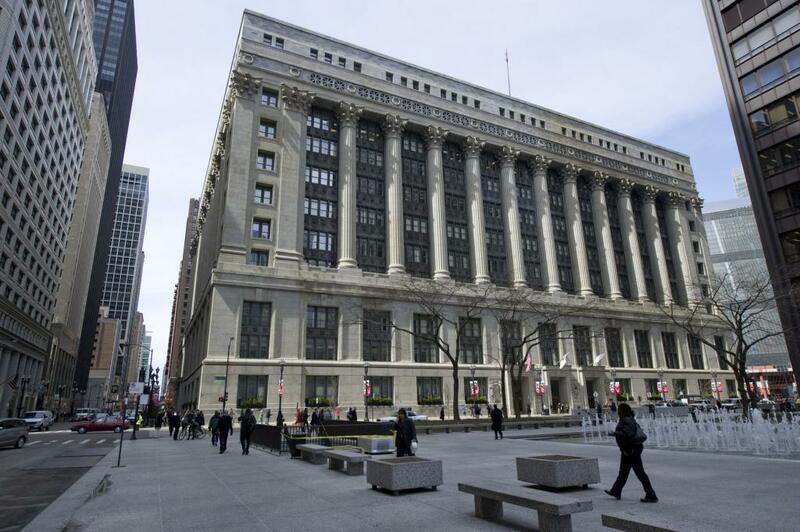 In addition, the Cook County Department of Building and Zoning is located in downtown Chicago, about 25 miles from Palos Park. It was impossible for our elderly client to visit the Cook County Department of Building and Zoning to receive the necessary assistance with her building permits. Our client requires the use of a wheelchair and was attempting to remodel her home so she can easily get from her bedroom to her bathroom in her wheelchair. She had been working on construction since 2015, but work was shut down by the County when it was discovered she did not have the proper permits. The shutdown forced our client to live outside of her home for an extended period. The homeowner needed an Interior Remodel for a Single Family Residence permit, a common permit that individual residents apply for when doing construction inside their homes. Our client was successful submitting her initial permitting documents, but once they moved to the review stage she ran into problems. One of the largest issues with her permit was that the paperwork was not submitted in accordance with Cook County’s standards. Our client was missing documents, some of the submitted documents were missing information, and there were outstanding approvals needed from the Fire Department and Cook County Environmental Control. We were able to provide her with the necessary information to reorganize her permit paperwork and re-submit her architectural plans for approval. All contractors performing work in unincorporated Cook County are required to register annually with the County. Homeowners may also register as contractors, and must do so in person at the Cook County Department of Building & Zoning. Burnham helped explain to our client that her options were to register as a general contractor herself or hire someone else to do so. We detailed the requirements and processes for both options so our client was aware of what exactly was needed and how to move forward. Our client chose to register as the general contractor on the project because she was performing the majority of the work along with her daughter and friends. She had not been able to register as a contractor prior to beginning construction because of her inability to travel to downtown Chicago to apply in person. With Burnham’s advice, she was able to create a special arrangement with Cook County to register as a contractor off-site. Burnham also helped our client submit a required Letter of Intent. A Letter of Intent is used to confirm that each additional contractor will perform work as a subcontractor, supplier, joint venture, or consultant. It also must describe the work to be performed. It was necessary for our client to submit a Letter of Intent in order to act as the general contractor on the project and claim responsibility for certain portions of the scope of work including demolition, carpentry, and drywall. Our client had been trying to finalize her permit for well over a year before reaching out to Burnham. We were able to guide her in the right direction and help her get the project back on track. By looking at the documents she had submitted and locating her permit in the Cook County database to see what the deficiencies were, we were able to lay out a path to have them corrected. Many of the comments our client received from the County, she simply didn’t have the ability to take care of on her own. Burnham was able to get in contact with the right Cook County officials in order to resolve any outstanding issues. At Burnham, we’re always available to help. Living by our motto, Simply Getting it Done, we were able to assist our elderly client by whatever means necessary. Cook County employees were also a huge help on this project, working together to make the process as simple as possible to allow our client to complete her remodel to make her home wheelchair accessible and move back into her home.